Download important documents from like-minded organizations that are committed to school safety through code-compliant methods. Safe and Sound Schools’ mission is to support school crisis prevention, response, and recovery, and to protect every school and every student, every day. They provide research-based education, tools, and resources, like the 2018 report on the State of School Safety, to ensure the safest possible learning environment for the youth of our nation. Co-Founder Michele Gay recently launched a message to promote our partnership and collective goal of opening the conversation about door safety. You can read about it in their latest blog. 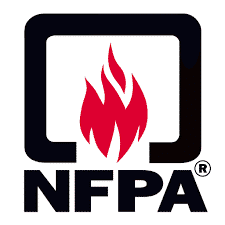 The National Fire Protection Association (NFPA) is a global nonprofit organization, established in 1896, devoted to eliminating death, injury, property and economic loss due to fire, electrical and related hazards. Read this article on classroom door locking against unwanted entry. NFPA’s latest standard, NFPA 3000™ (PS), Standard for an Active Shooter/Hostile Event Response (ASHER) Program, addresses the need for an integrated preparedness, response, and recovery program is greater than ever before. Learn more here. The National Association of State Fire Marshals (NASFM) consists of members who make up the most senior fire officials in the United States. Their duties vary from state to state, but Marshals tend to be responsible for fire safety code adoption and enforcement, fire and arson investigation, fire incident data reporting and analysis, public education and advising Governors and State Legislatures on fire protection. PASS, which was formed by the Security Industry Association (SIA) and the National Systems Contractors Association, is a coalition dedicated to providing resources that will make students, teachers and staff safer. It includes members of the security industry, school officials and security personnel as well as law enforcement officers. AASA is an association for school system leaders and serves as the national voice for public education and district leadership on Capitol Hill. 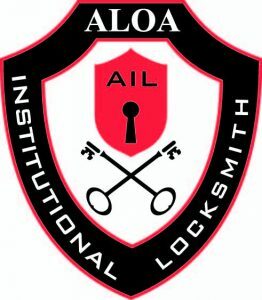 AASA recently hosted a webinar titled Opening the Door to School Safety, which details the dangers of classroom barricade devices and the alternative, safe locksets that should be used instead. You can also listen our radio interview with their radio station EduTalk Radio. The Sandy Hook Advisory Commission is a 16-member panel of experts created by Governor Malloy of Conneticut to review current policy and make specific recommendations in the areas of public safety, with particular attention paid to school safety, mental health, and gun violence prevention. They submitted their final report with policy recommendations on March 6, 2015.